The goal of activism is to change things, but how do we know what works? In a challenging political climate ripe for protests and petitions, it’s important to consider the effectiveness of our actions. Drawing from the experience of seasoned activists and organizers, Center for Inquiry outreach director Debbie Goddard will outline evidence-based methods for building campaigns and developing functional goals, objectives, strategies, tactics, and messaging so that our activism actually works. Debbie Goddard is the director of campus and community programs and the director of African Americans for Humanism at the Center for Inquiry (CFI), where she has worked for 12 years. She facilitates workshops and gives presentations on group organizing, campaign-building and activism, diversity and outreach, student activism, the secular movement, and other topics for local groups and national conferences across North America. She has also been the lead organizer for conferences including Women in Secularism 4 and the annual CFI Leadership Conference. 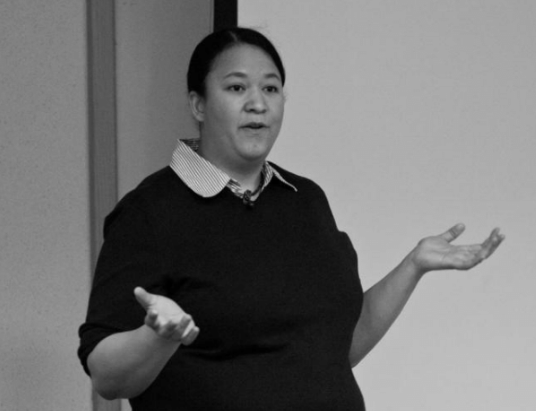 In 2012, she led a notable billboard campaign featuring black atheists, and in 2009, she helped coordinate an international campaign highlighting blasphemy laws and free expression.Before working for CFI, Debbie participated in freethought groups in the greater Philadelphia region and helped organize and support campus groups internationally as a student volunteer. She has also been involved with LGBTQ issues and progressive activism.